“We are pleased with the outcome of the HUD financing arranged by Sims Mortgage Funding. As a result of their efforts, our cost of capital was reduced almost in half, and we expect to save approximately $130,000 annually in debt service”. Naamans Creek Country Manor had outstanding tax-exempt bonds with a 7.00% coupon. The Owner, a not-for-profit, wanted to lock-in a long-term fixed rate financing that minimized costs of issuance and provided maximum debt service savings. SMF secured a $3,980,000 loan under the Section 232/223(f) program to refinance the bonds and fund capital reserve and repair escrows. Because the LTV ratio was approximately 50%, the HUD loan committee approved the transaction without any risk mitigation after there was a short-term drop off in the Project’s net operating income. SMF obtained a key exemption for the Project’s management agent from HUD’s requirement for the agent to be a party to a HUD Regulatory Agreement. The exemption enabled the refinancing to move forward under the structure in place before the refinancing. SMF obtained an interest rate on the HUD-insured loan that was approximately 50% lower than the interest rate on the outstanding bond debt. 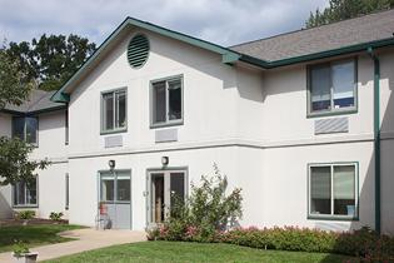 Naamans Creek Country Manor is an existing 90-bed skilled nursing facility located in Boothwyn Township in the greater Philadelphia, PA – Wilmington, DE metropolitan area. The Project is owned by an affiliate of the Guardian Foundation, a not-for-profit organization that owns and/or operates nursing homes in Pennsylvania and Florida through related companies. The Project had high-coupon, 30-year tax-exempt bonds that could be prepaid with a slight penalty. Interest rates for HUD-insured loans were quite attractive, and the fixed-rate structure would enable Guardian to lock-in savings over the long-term. SMF secured a $3,980,000 loan under the Section 232/223(f) program to refinance the bonds and fund capital reserve and repair escrows. Because the LTV ratio was approximately 50%, the HUD loan committee approved the transaction without any risk mitigation after there was a short-term drop off in the Project’s net operating income between the time the loan application was filed and the time it was placed in review. The loan featured a 30-year maturity, at Guardian’s request, and had a debt service coverage ratio of approximately 3.40. SMF obtained a key exemption for the Project’s management agent from HUD’s requirement for the agent to be a party to a HUD Regulatory Agreement. The exemption enabled the refinancing to move forward under the structure in place before the refinancing. SMF seamlessly coordinated the closing of the HUD-insured loan with the notice of redemption of the tax-exempt bonds, resulting in minimal payment of double interest. Because of the HUD-insured refinancing loan, Naamans Creek Country Manor lowered its annual debt service by approximately $130,000. In addition, with over $360,000 in a reserve fund for replacements, The Guardian Foundation will be able to address future capital needs that will maintain the Project’s competitiveness. For more information, please contact Kerrie J. Tomasiewicz at ktomasiewicz@nullsimsmortgage.com.